There’s no doubt that Hamburg is the "best city in the world". 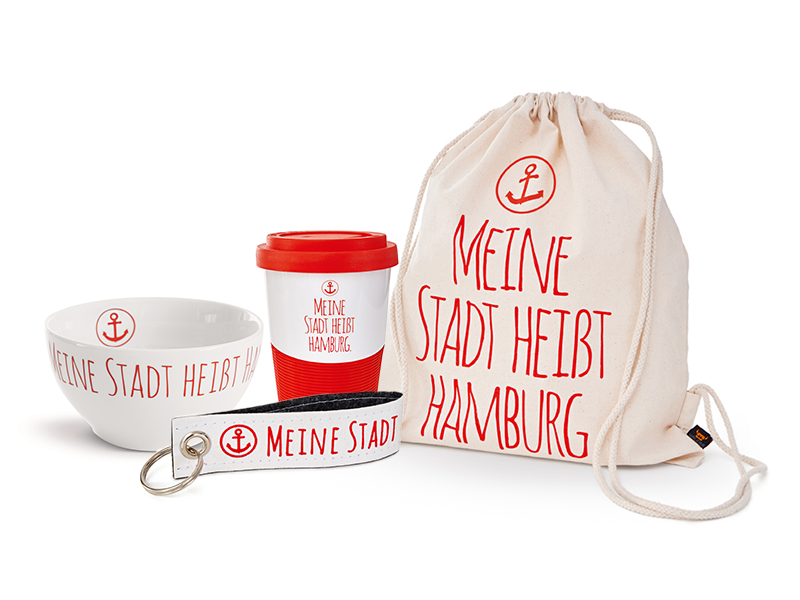 And because that’s a well-known fact among the people of Hamburg at least, Haspa offers the coveted “Meine Stadt heißt Hamburg”, or “My city’s called Hamburg” items. The Hamburg Edition is the official range of Haspa merchandising, sold exclusively online by PRESENT PERFECT Marketing GmbH. The exhibition gift that’s the talk of the show! Beautiful coffee cups with velvety-smooth gripping surfaces from Kahla, made in Germany. 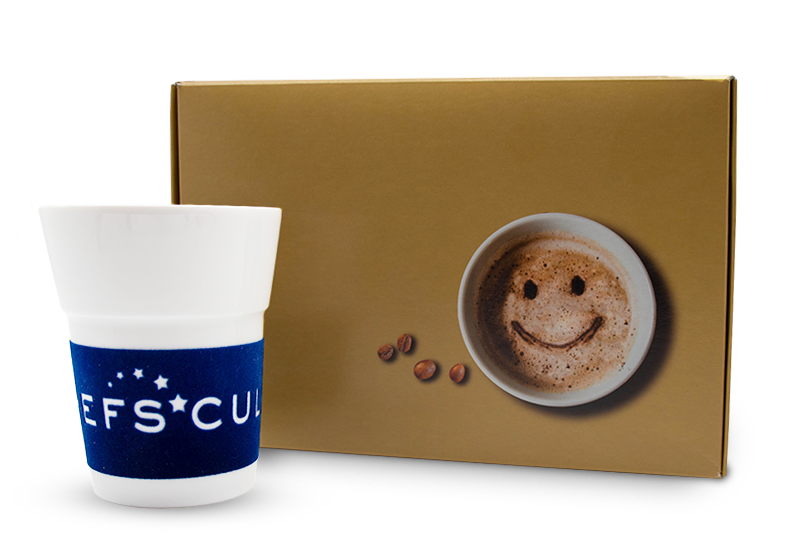 The perfect coffee to match these is packaged with them in an appealing presentation box. Neat treats! 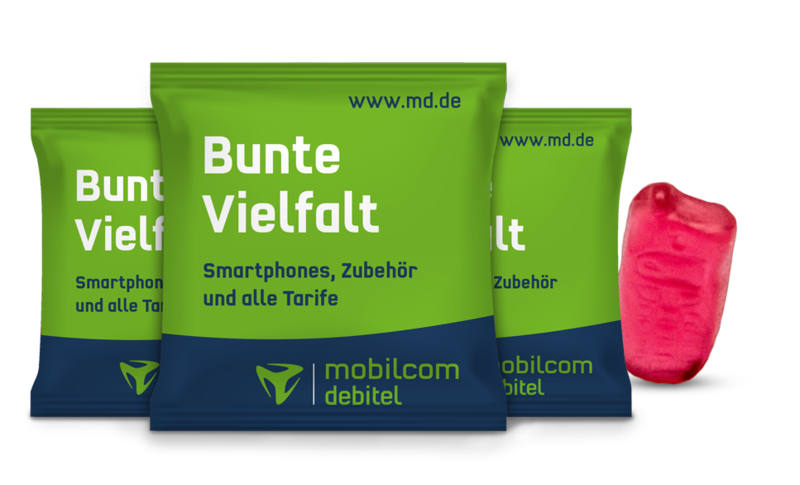 Tasty fruit gum sweets in a handy customised form provide a convenient give-away to help with customer acquisition. We can design and produce customised products of all kinds. 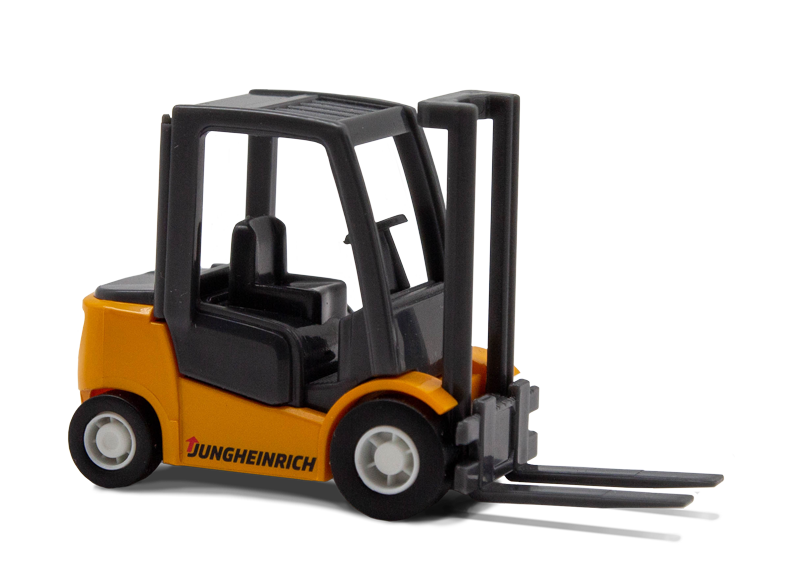 We make your ideas a reality for three-dimensional advertising! It’s not only the quality of a small gift that’s important to us, but also the idea behind it. After all, it’s only when a customer feels like you understand them – and your promotional gifts back this up – that loyalty develops. We don’t want to talk you into offering give-aways, but rather to support you in achieving your marketing goals.